May 11, 2018 by WebSan Solutions Inc. Comments Off on GET READY, GET SET, GET MARKETING WITH DYNAMICS 365 FOR MARKETING WEBINAR! GET READY, GET SET, GET MARKETING WITH DYNAMICS 365 FOR MARKETING WEBINAR! GET READY, GET SET, GET MARKETING WITH DYNAMICS 365 FOR MARKETING! Have you heard the buzz that Microsoft has launched a new marketing application, Dynamics 365 for Marketing?! The target market for this solution is small to medium-sized organizations who require an end to end marketing solution. Join us for this session which will serve as an introduction to one of the newest Microsoft product offerings. Posted in About Microsoft Dynamics CRM | Comments Off on GET READY, GET SET, GET MARKETING WITH DYNAMICS 365 FOR MARKETING WEBINAR! It’s Year End – Do You Know Where Your Marketing Dollars Are? 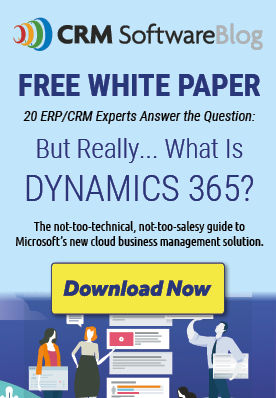 You Do with Microsoft Dynamics CRM. Big and Exciting Changes Coming to Microsoft Dynamics CRM!